I thought I'd share my version of a classic buttercream. 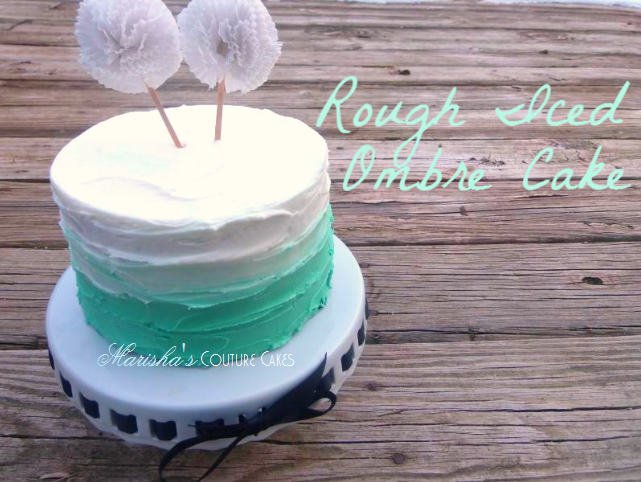 This buttercream is perfect for most cakes with it's fluffy and smooth texture. Some say it reminds them of icecream, in that factor you can't go wrong. A recipe is just a template to work with so remember to tweak the recipe to your liking and needed consistency. Press play below to watch the Youtube Tutorial. Makes enough for one 6" cake or two dozen cupcakes. Place butter into mixing bowl and begin to whisk on low speed gradually bringing it up to medium. Whip for two minutes. Scrape up any butter that may be stuck to the bottom of the bowl and continue to whip again for one minute. Add the shortening to the butter and whip on medium speed. Your butter should start to have a creamier consistency and be paler in color. Continue to whisk for two minutes. Measure out the confectioners sugar in a bowl and set aside. Turn the mixer off completely and add half of the confectioners sugar to the bowl. Begin to whisk in the sugar using the lowest setting. When all of the sugar has been incorporated, turn the mixer off once again and add the remaining sugar. Mix on the lowest setting for one minute. When all of the sugar is incorporated, use the rubber spatula to scrape down the sides and bottom of the bowl. Begin to whip the frosting starting on low speed and gradually working to medium high. At this stage the frosting should go from clumpy to smooth in texture. Allow frosting to whip for five minutes on medium speed. Scrape down the sides of the bowl one last time and add the salt and vanilla. Continue to whip for three minutes to dissolve the salt. By now the frosting should be a pale yellow and have almost doubled in volume. Take time to test the consistency. For a stiffer frosting add a 1/2 C more of the confectioners sugar. For a thinner frosting add milk 1 tsp. at a time. *Try adding fresh lemon zest for a lemon frosting. *The frosting takes on flavors and colors very well. Play around with extracts for a flavor that you can call your own. What did I do with my frosting?